Thanks to you - We've expanded! Please choose the contact info that best suits your area of service. 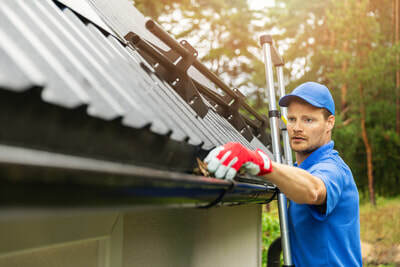 We tend to book up quickly for Spring Exterior Home Maintenance Services such as Gutter Cleaning, Roof Cleaning, Window Cleaning, Siding Cleaning and more! We offer FREE estimates and will do our best to schedule your appointment for a time that works best for you! But ... DON'T WAIT!! Everyone wants service when Spring comes and the only way to guarantee your spot is to BOOK NOW. Langley Gutter Pros is invested in providing your home with superior gutter cleaning, roof cleaning and window cleaning and more! With colder weather, frost and freezing, it's not always safe (or possible) to perform services like gutter or roof cleaning. We DO offer window cleaning throughout winter. 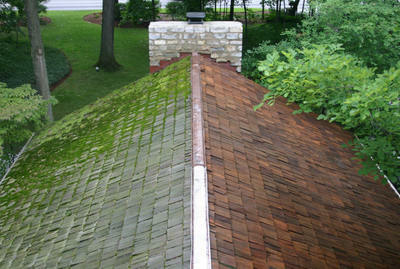 Are you requiring help with gutters, windows or roof cleaning? ﻿Call us﻿! Or request a completely free, no obligation estimate. We are your One-Stop Exterior Maintenance and Cleaning Company! So why hire Langley Gutter Pros (Bart Vermeulen and Albertus Josef Exteriors) for gutter cleaning, roof cleaning or window cleaning, siding cleaning, concrete cleaning, pressure washing and commercial or strata maintenance? EQUIPMENT: to properly and safely clean your gutters, you'll need an adjustable ladder, poles, scoops, harnesses and possibly more. we bring all the tools to get the job done! SAFETY: everyone knows that ladders are dangerous. Plus, depending on the height of your home, you'll most likely need the ladder to adjust. Don't put yourself in danger for the sake of clean gutters. Plus, during the wet,rainy season, roofs can be slippery. avoid injury and stick to simpler "honey do" tasks. FULL INSPECTION: since we're already up on your roof, we'll happily inspect and report any issues that you may have with roof or gutters. CONVENIENCE: we guarantee that it will absolutely be worth the money to hire us! 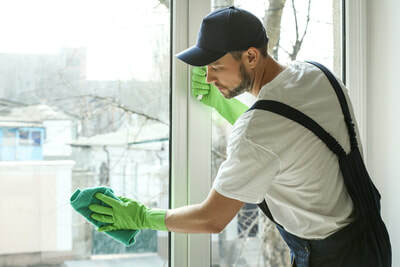 gain peace of mind that a job your might have spent the better part of a day complete has been taken care of by our professionals in a few hours. Sit back and relax while we take care of your exterior residential and commercial maintenance needs!